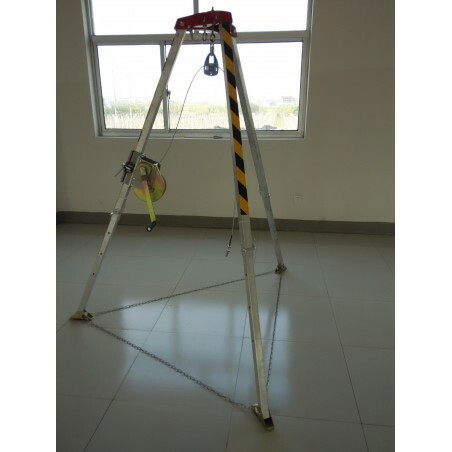 The rescue tripod is mainly used for rescue operations in high altitude, cliff and confined space, such as underground pipe, shaft, cesspit, closed container etc. Widely used by firefighting, municipal administration, mining etc rescue institution. The length of legs can be adjusted, suitable for rugged rescue situations .